Choosing to install tile flooring in your home is often an excellent decision in terms of style, return on investment, durability, and ease of maintenance but it’s far from the final decision that needs to be made on the matter. 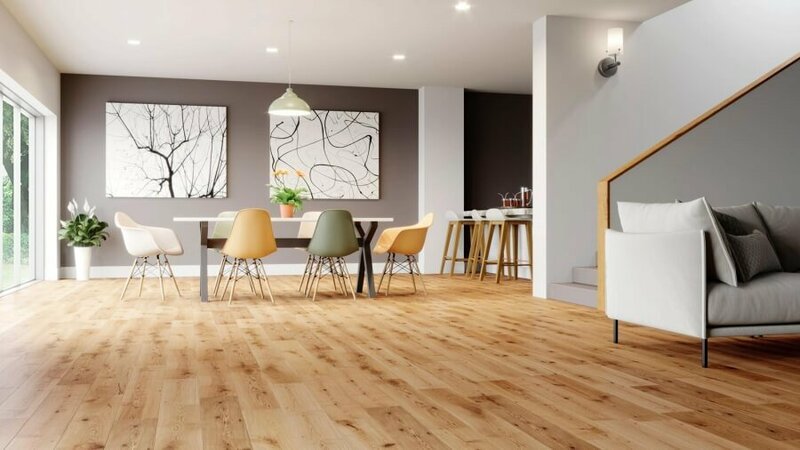 Homeowners may be surprised to learn about just how many types of tile flooring are available on the market today and how much each individual type differs from all the others. Consider some the benefits and drawbacks of each of these popular tile flooring materials before you get started on your home’s next flooring remodel to make sure that the style of tile perfectly suits your unique needs and design preference. Ceramic tile flooring is durable and low-maintenance. In many instances when homeowners picture tile surfaces they picture ceramic tile installations, and with good reason. This material is incredibly popular around the world thanks to its durability, easy install, easy maintenance demands, and particularly low cost for both installation and servicing. Ceramic tiles, when properly installed, glazed, and cared for, are strong enough to provide a lifetime of beautiful functionality as everything from flooring to walls, countertops, and kitchen sink backsplashes. All that said, ceramic tile is so popular that it’s mass produced on a huge scale meaning that the style you receive may not be very original and in some cases may not be universally identical from tile to tile. Marble tile flooring is elegant and iconic. Often a sign of extravagance and distinctive taste, natural marble tile flooring has become an elegant icon for homeowners who insist on the best. As you may expect from the quality of the material, marble tile flooring installations are a highly customized process during which the homeowner can pick the precise patterning, color, and shade tones which all vary from slab to slab. That high level of customization, however, is not without its problems. Finding large portions of marble which is matching for an installation is not only difficult but highly expensive. In addition to this high upfront cost, marble has very intensive care demands for everything from frequent cleanings with specific marble-friendly cleaners, sealing, and repairs when cracks eventually form. Ultimately, installing marble tile flooring is a major commitment which is why more and more homeowners are investing in materials which are designed to imitate the unbeatable look of natural marble. Slate tile flooring is incredibly versatile. Of all the common types of tile materials, slate tile is perhaps the most versatile. This is why it’s used quite frequently for everything from roofing to flooring installations. The material itself is actually fairly weak compared to other alternatives but due to the natural composition of the rock any damage which tends to occur falls along specific lines which can be replaced and repaired at an individual tile level, rather than repairing the entire floor or roof in question. What’s more, with slate tile flooring installations this weakness translates to a softer walking surface which can last for up to five decades if properly cared for! Slate flooring does not, however, fit well with all styles of interior design and so homeowners should consider this material with their individual preferences firmly in mind.